Built in Gothic style, York Minster points to heaven, but is also rooted in the earth – as shown by scooping the Silver Award in our Eco Church scheme. 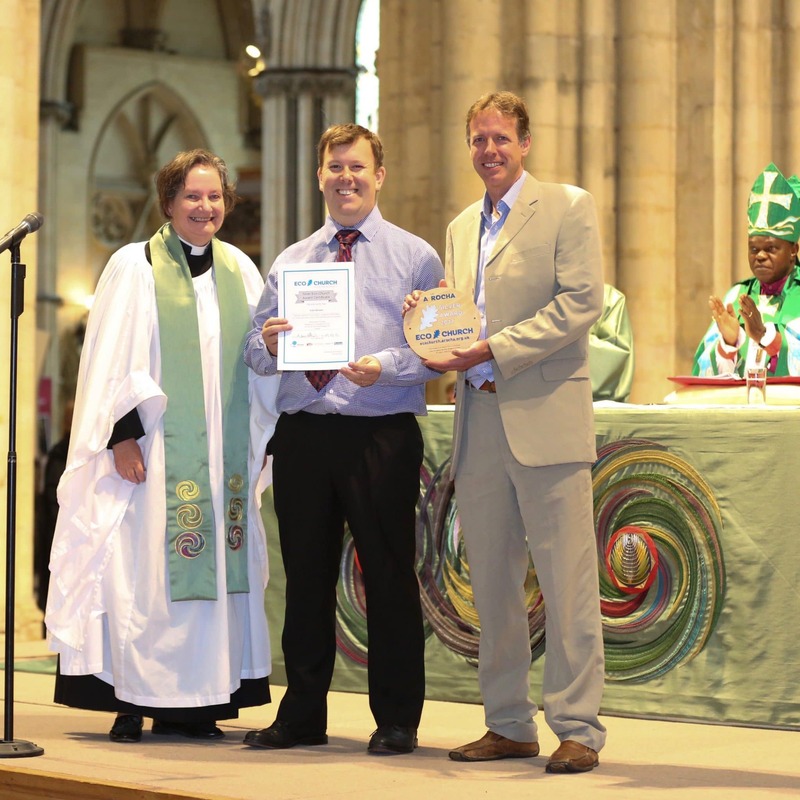 Our Engagement Director Rich Bee (pictured centre) presented the honour to Dean of York Minster Very Rev Dr Vivienne Faull in July. The ceremony took place at a service in the presence of the Archbishop of York, Most Rev Dr John Sentamu and the Archbishop of Canterbury, Most Rev Justin Welby.